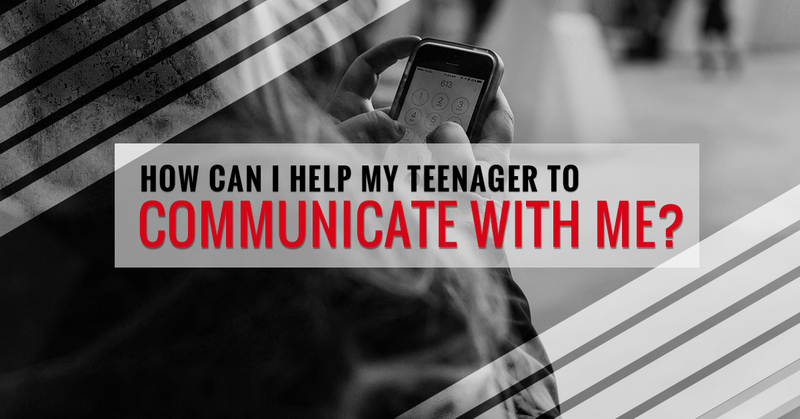 How Can I Help My Teenager To Communicate With Me? Many of the parents we talk to at Fire Mountain Programs have a similar problem. They feel as though the communication between their teen and themselves is lacking. In some cases, there is no communication at all. Much of the time, when the parent finally does try to talk to their teenager, it is because an incident has occurred and therefore, the teen is already defensive. In order to approach your teen in a constructive manner, there are a few steps you can take. Continue reading below to learn how to make communication better between you and your child. As mentioned above, many of the conversations that occur between a teenager and their parents occur when there is already a problem occurring. If you want your teen to trust you, you need to build a foundation. Your teenager isn’t the same person they were when they were a child. They don’t think they need their parents at this age as teenagers are independent, even to a fault at points. This is why your conversations should revolve around neutral subjects. Try reading the same book as your teen, or listening to the same podcast. This will give you a shared interest to discuss that doesn’t make your child feel persecuted in any way. One of the best places to talk to your child is when everyone sits down for dinner. Many of the parents we tell this to argue that some of the worst outcomes of conversations they have with their child occur at the dinner table. This probably has something to do with the subject matter. Simply by asking your teen how they are feeling or what they did at school that day without prying for too much information can result in a better outcome. Another great place to engage in conversation with your child is in the car. Whether you are heading to a restaurant for dinner or simply driving your teen to work in the morning, this is the perfect scenario in which to have a little bit of small talk. If your family likes to watch television at night together, commercial breaks can be a great time to get a word in. Even if you are simply chatting about what is happening in the tv show you are watching, you can engage with your child. Additionally, if you teen tends to be on their cell phone during this period of the night, make one hour a phone free time, just for family bonding. Many teenagers find it easier to talk to their parents at night. In the morning, your teen is likely moody and tired. Give your kid a chance to decompress when they first get home from school or baseball practice and later in the night when the sun has set, attempt communication. 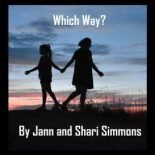 Every once in awhile, even when you are following the suggestions above, a conflict could occur. It is important in these situations to realize who the adult is. You, as the parent, have the ability to defuse any situation when it is starting to become heated. If you need some help doing this, follow the tips below. Interrupting is a sign of disrespect and if you want to receive respect, you have to give it. As tempting as it may be to fire back when your teen is upset or making accusations, do not do it. Wait until your child is done and then address them. When a conflict arises, it is often easy to only notice the demeanor of the person you are engaging with and not notice how your tone and body language could be interpreted. The best way to do this is to model the behavior you would like for your teen to mirror. If you yell, point fingers, or use sarcasm, you’re giving your child the idea that it’s okay to do the same. Talk in a calm and even tone for best results. Sometimes it just takes your child hearing what you are trying to get out of communicating with them. It’s easy to take the position of the victim as a teen because of the cliche “my parents are trying to ruin my life” mentality that comes to adolescence. By explaining why you are saying what you are saying and what you are trying to achieve, it may be easier to make your child understand that you only have their best interest at heart. Under no circumstances should you call your child names, talk about their past failures, or exaggerate to make your point. This will never get you the outcome you are trying to obtain. Much of the time, it’s easy to dismiss a teenager’s feelings. Seeing as how you were a teenager once, you know that many of these feelings are fleeting. On the other hand, regardless of what your child is going through, they feel the way they do. Acknowledge that you understand where they are coming from rather than forcing them to make them feel guilty for how they feel, which is not going to help improve your communication or your relationship as a whole. If you are struggling to help your troubled teen and you think you need assistance, you can rely on the staff at Fire Mountain Programs. We have plenty of programs designed to deal with the issues discussed in this post and more. Contact us today for more information on our residential treatment center. Register Here for the FREE Parent Webinar! Signup for upcoming news and events.